Why do I talk to adult models on-line? People sometimes take offense – to varying degrees – of the fact that I’m connected with a (growing) number of adult film actresses and adult models by way of social networking sites. I’m asked semi-regularly why I maintain and cultivate those connections. Stereotypes exist for reasons, yes. But please dismiss the idea of adult models and adult actresses being dimwitted airheads. Most are quite decidedly not. Most of the ladies in that business are very intelligent. Many of them are also avid readers. I’m an author. Are you getting the picture now? Beyond that, many of the ladies involved in the adult industry are very willing to talk to people publically by way of social networking sites – especially, Twitter. Some of these ladies have thousands, or, sometimes TENS OF THOUSANDS of Twitter Followers…. These ladies spend a lot of time in airports, waiting for flights, on their way from one film or photo shoot to another, or on their way back home after a gig. To pass the time, they will often use their Smartphones to catch up on Twitter. Usually, they post an update to the effect of “I’m currently in such-and-such airport on my way to such-and-such place.” My normal response to these Tweets is to reply with something along the lines of “Have a safe flight” or “Best of luck with the new gig”. I truly do wish them well; that’s not just a hollow line to give me an excuse to comminute with them. I have a girlfriend (paranormal romance author Desirée Lee) and I am 100%, completely, utterly, undeniably, now and forever in love with her. Desirée is gorgeous to me on every level and I am attracted to her on every level. I have no need or desire – none whatsoever! – to strike up conversations with adult actresses and models for the simple reason that most men will do so: to be talking to a beautiful woman who removes her clothing frequently. Quite often, my reply Tweets to these ladies will draw a response. They’ll take a few moments to Tweet back to me, saying thank you for my comment to them or to make some other friendly reply. Know what just happened each and every time they do? Yep; they just told ALL of their avid Followers about me. For free. Where else can you get that kind of advertising and at the cost of a single Tweet? What’s more, these ladies travel. A lot. They also know LOTS of people and not only in the adult entertainment industry. People network and talk. People remember names; especially the names of people who are polite and nice to them. There are a couple of adult film actresses who, though I’ve never had the pleasure of meeting face-to-face, I already feel as if I could nearly call them “friend”. One of these ladies, with whom I’ve sadly lost contact when she quit that business, had actually come to me with the suggestion – which I took her up on at the time – of exchanging traffic on MySpace. Yes, for a few months, an adult actress was using her MySpace page, in part, to advertise my work. And I was doing the same in return for her. That’s why I like to connect with adult actresses and models via social networking sites. Most of those ladies are intelligent and treat people well who treat them well. In all honesty, many of the adult entertainers I’ve had the pleasure of exchanging social networking messages with have been more of a pleasure to deal with than a good number of “normal” people. To those of you who continue to be offended because of my public connections with a number of adult models and adult actresses: everyone is entitled to their own opinions. But your disapproval isn’t about to change anything. There is only one person who could and that is my girlfriend. If Desirée ever objects to my social networking connections with those ladies, then I would, of course, sever those connections ASAP. However, she understands the reasoning behind my connections with them and knows that they are, at best, casual on-line friends whom I will probably never meet face-to-face. Desirée also knows that I am completely, utterly, wholly, absolutely true and loyal to her. If she has no reason to take offense to my association with people in the adult entertainment industry, then why does anyone else? I’m sometimes asked about my willingness to put my name and projects in front of mega-celebrities by way of their official websites’ contact forms, Facebook, Twitter, MySpace, etc. A lot of people seem to think this is a foolish thing for me to do and appear to take great pleasure in letting me know that. Do I REALLY expect a reply from these A-list celebrities? So why do I do it so often? The answer is simple. Even if nothing at all comes from my having put my name and a project in front of a huge celebrity director, producer, actor, actress, etc., that individual has still – assuming they saw my message or social networking post – been made aware of my name. They’ve heard of me. And, on the off chance that one of them does reply – and it has happened – I’m given the chance to get to know them a bit better and let them get to know me and my work a bit better. This business is, in large part, all about networking. It’s who you know and what contacts in the industry you and they have. A casual meeting or a couple of exchanged social networking messages today could open the door for something profitable down the road. People remember. There’s no telling when someone with major contacts and/or money to fund a project, and who has heard of me, might run across my name or work in the future and truly take note. So, for those of you who want to laugh and snigger because of my willingness to put my work and name in front of A-list celebrities, continue doing so if you like. For my part, I will continue trying to open those doors and see where it gets me. All it takes is making a professional connection with the right person just one time to escalate a career to a whole new level. Please help me to get the “MoonWraith” TV pilot script entered into film festivals. Showing this script off at such festivals will be a huge step forward in finding a producer/distributor for this project. This coming Saturday, May 5, 2012, I’ll be at Yancy Street Comics (located inside Gulf View Square Mall in Port Richey, FL.) for the 2012 Free Comic Book Day event. I’ll be selling work and signing autographs, as well as debuting a short promo of Issue #1 of the on-going comic book series “Wendy Markland: Chronicles Nocturnum”. That series is based on my Wendy Markland novels and features artwork by James Smith. I’m also still working on my newest novel, “Quintana Roo, Yucatan” and a new novella that I plan to use for promotional purposes. Today, I’ve been asked by an actress/model/TV host/director/producer for the pilot script of “MoonWraith”. 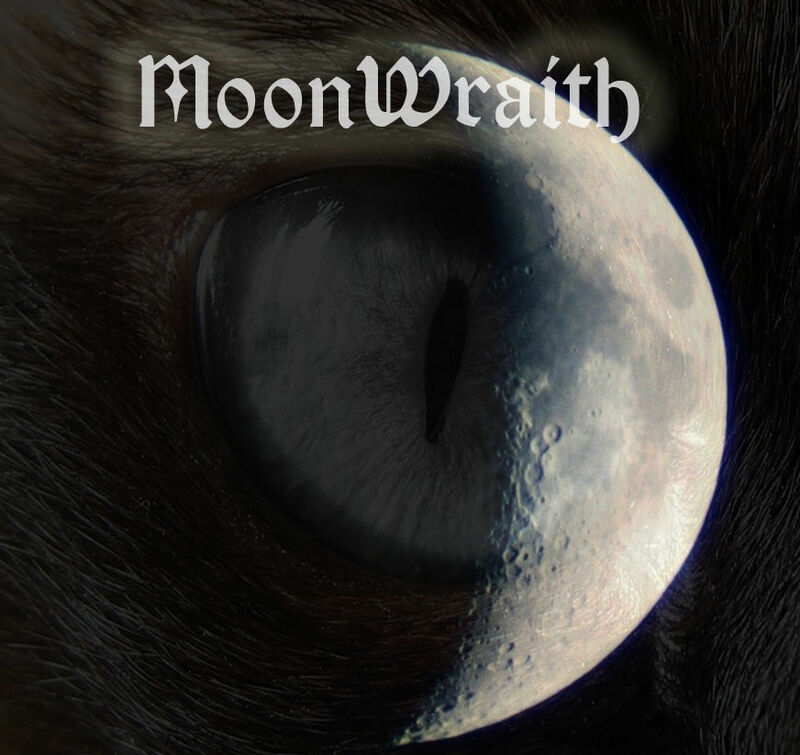 “MoonWraith” is a 1-hour character-driven horror/action/adventure TV series. I have 42 people who want to be part of the project as cast or crew. I’m only lacking a producer/distributor. And one is reading the script as of today… Wish me luck, please. If she’s interested, we could see some movement on “MoonWraith” in the near future. Amidst all of this, I’m getting ready to move to California. I’ll be relocating in June. I’m moving to be with my girlfriend, paranormal romance author Desirée Lee. Please check out Desirée’s website: http://www.desireelee.com/.